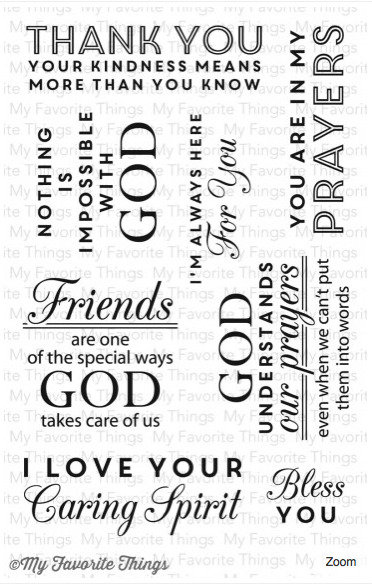 The Words of Inspiration set, from Lisa Johnson Designs, is uplifting and encouraging. A beautiful mix of fonts plays up the importance of the words. Someone in your life needs to receive these words of love from you - now is your chance to provide the inspiration they need! This set includes the following elements: Thank you your kindness means more than you know 2 ¾” x 7/8”, Friends are one of the special ways God takes care of us 1 ¾” x 1 ¾”, God understands our prayers even when we can’t put them into words 2 ¼” x 1 ½”, I love your caring spirit 2 ½” x 1 7/8”.